Chris Christie needs a bigger shovel. And a deeper bucket. 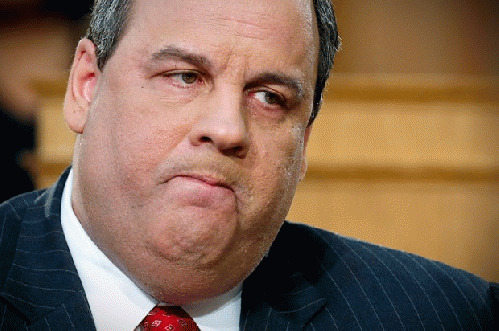 Team Christie doesn't seem to understand damage control, as the larger-than-life NJ Governor continues his flippant attitude toward the very real and very damaging scandal that's rising around his cankles. Famous for his plain talk and outspoken comments that gave him the reputation of being a no-nonsense kind of leader desperately needed in the dying GOP, Christie's recent handling of the bridge scandal in his office may well spell political doom for the once-favored presidential nominee. "Democrats have accused Christie and his Port Authority appointees of closing access lanes from Fort Lee, N.J., to the heavily trafficked George Washington Bridge for several days in September as retribution for Fort Lee Mayor Mark Sokolich not endorsing Christie's 2013 reelection campaign. The closures created severe traffic problems. "The e-mails were first reported by the Bergen Record. The George Washington Bridge is the most heavily trafficked bridge in the world. "Kelly's e-mail, from her personal account to Wildstein's personal account, is dated Aug. 13. The lane closures started Sept. 9. "In the intervening period, Kelly and Wildstein continued to exchange e-mails about Fort Lee. On Sept. 6, Wildstein told Kelly that they were 'ready to do this' and that the governor's office should inform another mayor that it had approved $60,000 for a traffic study. "Wildstein appears to recognize the dicey nature of his move. After the lane closures concluded, he shared a newspaper article questioning the reason for the closures and later wrote: 'I had empty boxes to take to work today, just in case.'" So this top aide knew he was playing a dangerous game, but we are to believe that Christie was completely oblivious to the whole scheme? If that's true, is he fit to govern if he cannot control the juvenile (but dangerous) pranks perpetrated by his own merry band of morons? And if he really believes his own staff's lame cover story about a bridge traffic study, then why the outrage now? Worse, in discussions with the press about the vengeful act, Christie comes across as a Soprano-style bully, not a potential presidential candidate. Film at 11 . . .